ACM cooking up fun events in August! 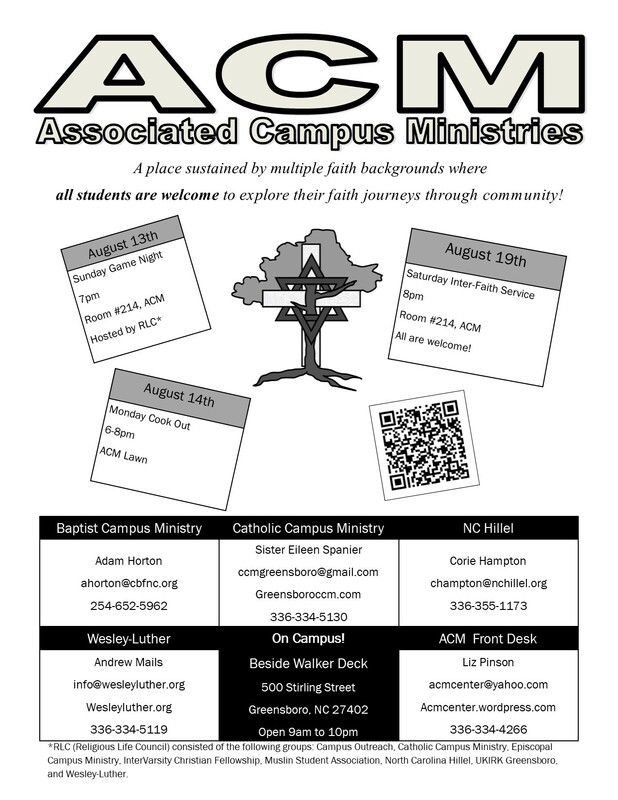 Great stuff coming up in August at the Associated Campus Ministries building! UNCG students are invited to come over and make some friends before classes even begin with a game night and cookout, followed by a Saturday night interfaith service. See the flier below for times . . . and come see us at the ACM (500 Stirling St. between the EUC and Walker parking deck). Students of all faiths and backgrounds are welcome here! ← Join We-Lu for dinner!